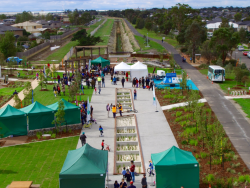 Greening the West is a regional initiative that brings together 23 member organisations to achieve urban greening in Melbourne’s west, across the municipalities of Brimbank, Hobsons Bay, Maribyrnong, Melton, Moonee Valley and Wyndham. Initiated by City West Water in 2011, the group has built momentum ever since, and shows increasing participation and ownership from councils. The group was successful in obtaining $5M Federal Government funding which, by the end of 2018, will have been used to plant 1 million trees. 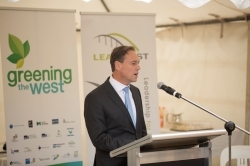 Greening the West has a strong focus on partnerships with developers and other stakeholders, and supports liveability projects such as Greening the Pipeline and the Upper Stony Creek Transformation Project. More work is needed to investigate and strengthen local and state government planning controls to protect and enhance urban greenery in the context of densification. If nothing is done then a large proportion of Melbourne’s urban greenery on private land will be lost as smaller footprint residential houses are replaced by larger houses and apartment buildings. Total cost is complex to work out, given that the group involves 23 members and the project spans over the course of almost 7 years. The 1 Million Trees project received $5M in Federal funding, which was supplemented by members taking responsibility for tree maintenance and other costs. 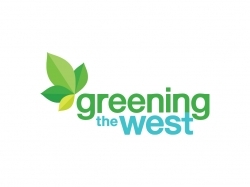 Greening the West has been running since 2011 and is ongoing. This case study was pulled together by Casey Furlong (RMIT University) and reviewed by City West Water.